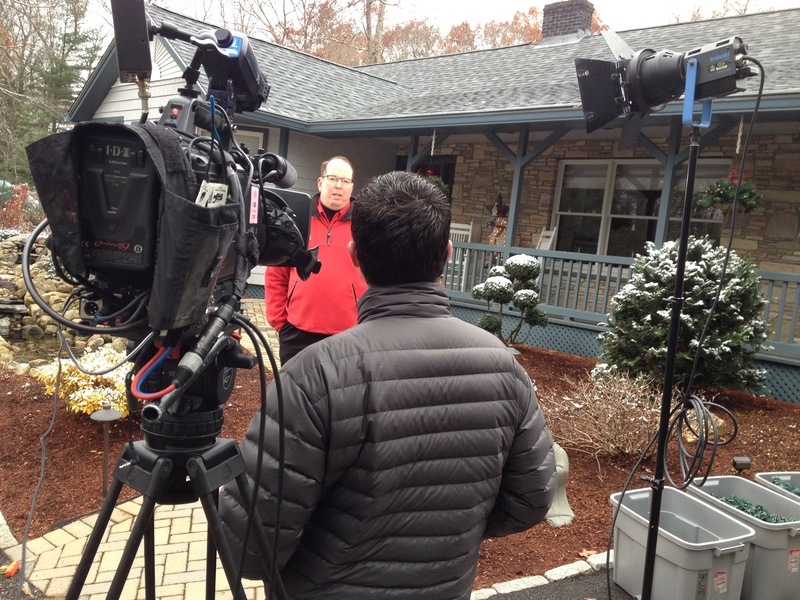 My HDX900 and I recently took a trip up to Spencer, MA to work with MSNBC Your Business. We were doing a story on Christmas Decor, a seasonal franchise that does elaborate Christmas and Holiday Lighting setups at both residential and commercial properties. Mother nature must have heard we were doing the story because snow flurries started the morning of the shoot which actually helped with this story. This one definitely put me in the holiday spirit!